Welcome to the Frozen Nerdz Podcast Episode 53 called Larger Eskimos <The Insane>! The show was recorded on Sunday, March 22nd, 2015. And was released on Tuesday, March 24th, 2015. On Today’s episode we quickly go over our weeks in video games, then we jump right into covering all of the Blizzard Entertainment and General Gaming News from this past week. But before you know it, we move onto our World of Warcraft discussion where we talk about Warlords reputations, Blizzard Designed PVP Zones, Glamour commands for Roleplayers, and we give some suggestions on how to improve the guild environment in-game. Then we switch things up and move onto the StarCade! This week we cover Zombie City, a Blizzard Arcade Free to Play Survival game. Then we move over to our Community Creation part of the show were we introduce two a Warcraft addon you can’t pug without, and another beautiful Diablo 3 fan creation! Then we answer a few Ask Us Anything questions from Twitter. If you have any questions, comments or concerns for the show, feel free to email the show at IceBox@FrozeNerdz.com. Then we wrap up the show thanking those people who supported the show this week and then we say our weekly goodbyes. So sit back, relax and enjoy Episode 53 of the Frozen Nerdz Podcast. Content: If you are looking for a podcast that covers all genres of Blizzard, then I have the Podcast for you! Not only do these hosts bring you all the information, they do so with personal stories. As a listener, I feel just as involved as the hosts since we can interact with the hosts via Twitter, I would definitely suggest giving these guys a listen! Thank you so much History is the Key! We have officially been doing the Frozen Nerdz podcast for one year. That’s 52 weeks of content. One thing we like to do here at the Frozen Nerdz podcast is to give back to YOU the listener and supporter of the show. So now its time for our 52 weeks of content contest. So with out further ado, here is our next contest where you could win ONE YEAR of World of Warcraft game time! Prize: 2-12 months of World of Warcraft Game Time. Rules: One winner. Must be following to win. One tweet that counts is the above tweet which includes the #1YearNerdz hashtag! Contest ends: April 7th, 2015! The Legacy of the Void Beta will be starting its Closed Beta on March 31st! There are a ton of changes coming to the different player units, resources, worker counts and more. But don’t take our word for it, head over to the Starcraft page and check out everything coming to the Beta. Or you can click this link! With Heroes of the Dorm in it’s sign up phase, Blizzard is giving out a 25% XP Buff going on right on in Heroes! Epicinsanity said in the show that it didn’t stack with the Stimpack, but after the show, it seemed to be working! For more information about the 25% buff, check out this new’s article! This week is a big week in The Nexus, with the release of the next patch in the Closed Beta, a new hero, a new battleground and a ton of new skins! We heard about it at PAX East, but the time has finally come for the Banshee Queen to enter The Nexus, Sylvanas. Check out all the new skins over on the Official Heroes page here! Ever wonder if the Developers of the game are actually listening? Once again the Heroes Team shows that they do care about you the player and they are listening more than you know. Taken from the community feedback in the Beta, Blizzard has posted a nice article on the Heroes main page talking about the things they want to work on, or improve over the coarse of the Closed Beta. Check out the article here. Just when you think you couldn’t get enough Developer insight, Matthew Cooper, Game Designer for Heroes of the Storm, gives us more insight into the upcoming Heroes patch. 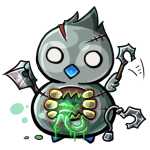 In this article, he discusses the changes made to Murky, upcoming changes to Stitches, and more. Check it out here! In order to get your Ragnaros card back, make sure you get to Rank 20 before April 1st! Check out the card and article here! The Pre-order for Blackrock Mountain is now available! Pre-order now in order to get your exclusive card back! Check out this article to pre-order this new Hearthstone Adventure! Season 2 is coming to an end already. Don’t miss out on everything that Season 2 had to bring by reading this article! 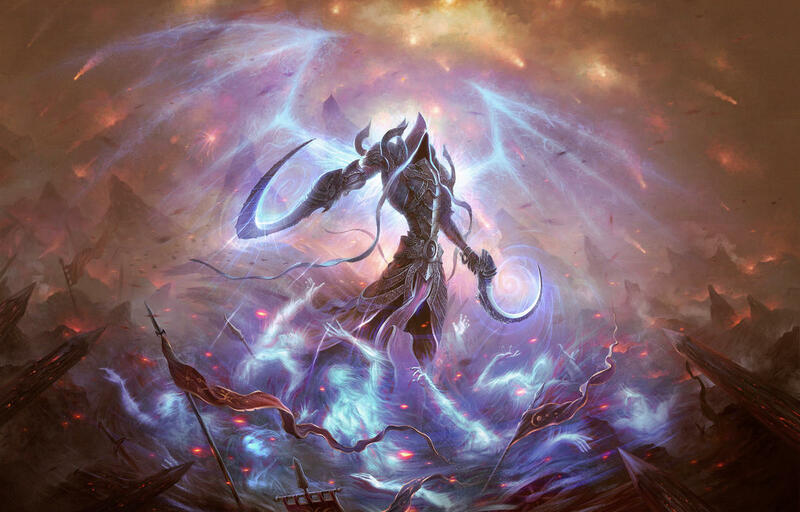 Blizzard has released the new updated Wallpapers, Fan Art, and a new Comic! Check them all over here! With the release of Warlords, there has been a lot of discussion of how the Highmaul raid fit into the Lore of the expansion. Blizzard finally has an aswer with this new Short Story called Code of Rule filling us in on the missing information. Read the short story here! 1.) Have Warlords reputations for the different factions become too acute? Should there be more ways to acquire the reputation to reap the rewards? Or is the system working best compared to other expacs? 2.) When Blizzard Designed PVP zones like Ashran, Wintergrasp, and other “world PVP” zones is it right that the PVP players be Gated by Rep which is a PVE aspect of Wow? 3.) Should there be a Higher obligation on Blizzards end to really increase the span of tools in the Game for RP based players? 4.) Since its original design and then its subsequent nerfing the guild reward system was a failed way to show guilds you care that players are in them, is blizzard ignoring guild dynamic in favor of freelance players, what could be done to design guilds and bring them back into usefulness? Details: Survive waves of zombies!!! Kill those zombies. Description: A tool to filter LFG search results. A way to forget about undesirable groups. A dialog where you can choose any criterias to search for a group you wish to join. A monitor that rescues you from clicking refresh button. Last week on the show, we announced our J!NX Boss Battle Contest. We asked you to Tweet at us using the hashtag #FrozenSelfie when sending us a selfie with your favorite World of Warcraft boss in-game. We got 5 Frozen Friend submissions via Twitter. Check back here later for the announcement of who won! No spoilers here, you have to listen to Episode 52 to find out who won! Huge thank you to J!NX for letting us be a part of this amazing contest. We were able to be involved due to our involvement in Catalyst Gaming Media and D20Crit.com! The world of gaming is always changing so here is a heads up on what’s been happening this past week. A new Arcade Workshop is out covering Star Armada II. SA2 is a fully customizeable game where you are able to control your units in a unique way in this MOBA style Starcraft game. We highlight this game later in the show as our game of the week in the Starcrade. If you want to read more about, check out this article! WCS Championships to be held once again at Blizzcon 2015! This means the WCS action is once again returning to Anaheim California this fall. To keep up with all things going on with the WCS, you will want to check out this articles. Hearthstone turns one year old this month! You can take part in the festivities by tweeting your Hearthstone themed baked goods using the hashtag #HSBirthday! For more information, check out this article. You can also share your favorite Hearthstone moments with the Hearthstone team over on the Hearthstone forums. Add your moments, or read everyone else’s memories over here! More changes coming to the Patch 2.2.0 PTR, to help you keep up with all the massive changes coming to the game, check out the updated PTR notes in this blog article! The Warcraft Team does a Community spotlight for Py Wilson, who was the wonderful Costume Artist who won the Blizzcon 2014 Cosplay contest. She has had her cosplay also added into the game as an NPC. You can check out all the pictures of her amazingly hardwork and get to know her in this article. Hotfixes are always an ongoing change in World of Warcraft, this past weekend, it was announced that there will be a new hotfix to be released this week that will alter the item level of all Blackrock Foundry items up +5 from their current item level. We discuss more about this topic in our Warcraft segment, but you can read all about it yourself here. Blizzcon 2015 will be taking place on November 6th – 7th of this year in Anaheim, California! Just like previous years, tickets will be on sale in two batches starting on Wednesday, April 15 at 7 p.m. PT and then again on Saturday, April 18 at 10 a.m. PT. Once again, they will be using Eventbrite for the ticket sales process. Thankfully the tickets are still priced at $199 each (plus applicable taxes and fees). To read more about the announcement, you can read the official article here. Speaking of BlizzCon ticket sales, you can check out this great guide on Blizzard’s site to help you score one of these exclusive tickets come April! This year you will also be able to get special room rates if you reserve your hotel through the official Blizzcon site. Check out the link here to find out more information. Welcome to our Warcraft segment of the show, each week we discuss topics that are current or helpful to the player community of the World of Warcraft. Will we see details on the next WoW Expac? What enemy will be the theme? Will they give us a release date? With recent details arising from Blood Legion manning down to a less aggressive raid schedule can we expect other world first raiders to begin to do similar actions? Was the increase in ilvl the appropriate way to “nerf” current content so user’s would find it easier to progress in the current raid tier? Was Blackrock foundry really too difficult for raid teams? But don’t take our word for it, check out the Blizzard Arcade inside of Starcraft to play this game yourself! And also, listen to Episode 52 to hear the actual discussion on how we game up with these different scores. Here at the Frozen Nerdz podcast, we love one thing above all else and that’s getting listener emails. So we have dedicated this entire box to chill out with YOU the listeners. This week we got an email from our Frozen Friend, Zack! He sends in an email asking us about pet battle addons after Kilroys no stop talking about pet battles has sparked an interest for him in pet battles. Each week the Frozen Nerdz we dig into the community of Blizzard Gamers to grab a community creation to share with YOU the listener from Youtube Videos to Drawings, and beyond. We hope take some time to enjoy this weeks Community Spotlight. Random Hero of the Storms Beta Key: 8RHFHP-J2CH-CJTNGK-7XNH-6K6T9W Enjoy! Episode 51 – Nerdz Incorporated! Welcome to the Frozen Nerdz Podcast Episode 51 called Nerdz Incorporated! The show was recorded on Sunday, March 8th, 2015. And was released on Tuesday, March 10th, 2015. On Today’s episode we change everything up, and introduce the new show format. We quickly cover All of the Blizzard Entertainment and General Gaming News from this past week, and then we move onto our World of Warcraft discussions. This week we talk about the upcoming WOW tokens then we move onto some Post Patch 6.1 Spoilers. If you are NOT interested in said Spoilers, please skip ahead from about ~33 to our Starcade Segment that that starts around the ~57 minute mark. You have been warned! But before you know it, we move onto our Blizzard Discussion topics of the week where we discuss the big reveals at PAX East this past week in Boston. Then we move over to our Community Creation part of the show were we introduce two items of amazing Blizzard Fan Creations! Next up is… the icebox, where we answer an email from you the listener. If you have any questions, comments or concerns for the show, feel free to email the show at IceBox@FrozeNerdz.com. Then we wrap up the show thanking those people who supported the show this week and then we say our weekly goodbyes. So sit back, relax and enjoy Episode 51 of the Frozen Nerdz Podcast. Yep, you heard us right! We have FREE J!NX swag to give away! The Frozen Nerdz Podcast is a proud member of Catalyst Gaming Media, which is part of the D20Crit network. While embracing the geek, nine podcasts are coming together to promote the ongoing J!NX Boss Battles promotion! To find out more about the J!NX Boss Battle Promotion check out their page here! To find out what other CGM/D20 Crit podcasts are involved in this amazing promotion go here! Team up, get loot, and defeat the boss to unlock more loot! Earn exp and gold towards future J!NX purchases! So now it’s time for our Contest! Here at the Frozen Nerdz Podcast, we like to keep it simple, and want to go along with the Boss Battle theme! So we want YOU to Tweet us your #BossBattle Selfies with your favorite World of Warcraft Boss. All you have to do is Tweet them at @FrozeNerdz and include the hashtag #FrozenSelfie. And we will pick a random winner! It’s that easy! And before you know it, you could be the proud new owner of some amazing J!NX Swag! Contest Announced on Episode 51 on March 10th, 2015. Winner Announced on Episoide 52 on March 17th, 2015. a.) Cyber Wolf and Dire Wolf mounts will be leaving shop next patch. So make sure you get them before they go away, if you are interested in reading the entire article, click here! b. )Pay your College tuition with Blizzard’s new tournament series… Heroes of the Dorm! c.)Are you already in the Heroes of the Storm Beta? If so keep an eye on your email, Blizzard announces that they will be sending a small group of testers 4 keys to share with friends! Click here for all the details! d.) A lot of Heroes information released at PAX East this past week in Boston! Check out the recap of everything you may have missed here! a.) Jon Briggs talks designing gold cards in a new Hearthside Chat! If you are interested to see how he comes up with the Golden Cards in the game, check out this article! b.) At PAX East in Boston, Lead Designer Eric Dodds announced the next Hearthstone expansion, Blackrock Mountain, will be playable next month! For more information about everything that was announced at PAX East, check out this recap! c.) Also, at PAX East, Blizzard announced that Hearthstone will be available on Phone OS within the next few months (AkA Soon ™). a.) At PAX East, the Overwatch team announced 2 new heroes will be joining the ranks: Jesse McCree and Aleksandra Zaryanova. View more screens shots, and game play by heading over to the Overwatch page! b.) They also announced a new battleground map called Watchpoint: Gibraltar. This map is the first full payload battle scheme map that they have introduced. c.) The Overwatch Team also announced that Beta will be coming this Fall! If you want to be included in the Beta, make sure you sign up at PlayOverwatch.com! a.) A New Race Event has been added to the Darkmoon Faire as of March 1st. Blizzard plans to add more to the races as months come! Check out the whole article here! b. )Lead developer Q&A took place on March 2nd with Ion Hazzikostas and Josh Allen. Check out the video, and the transcript from Wowhead.com! c.) WOW Tokens, which had been previously datamined, are now testable on the PTR. To read up more about the WOW Tokens, read this article! d.) There is a new World of Warcraft comic called “Blood and Thunder” that covers the double life tales of Fenris Wolfbrother’s. You can read the more about it here. And you can also read the comic here! In our World of Warcraft segment of the show, we discuss topics that are current or helpful to the player community of the World of Warcraft. 1.) Will wow tokens help balance out the wow economy more? 2.) SPOILERS! If you want to hear this discussion, please listen to the episode. 3.) SPOILERS! If you want to hear this discussion, please listen to the episode. 4.) SPOILERS! If you want to hear this discussion, please listen to the episode. More PAX East Discussion about the new Adventure, Blackrock Mountain, coming in April! More PAX East Discussion about the new Hero added, new map, and new UI changes coming with the next Patch! This week, we discuss: With the new female tank announced is this enough to make a difference in the fight for equality in gaming genres? Details: Every 10 years, four of the best Cows carefully selected by The Butcher will be release from the Steak Palace to compete against each other. The competition will make the Cows more tender and juicier while allowing one of the Cow to earn its freedom while the others become steaks on plates. Welcome to the Frozen Nerdz Podcast Episode 50 called Secret Agent 00Janitor! The show was recorded on Sunday, March 1st, 2015. And was released on Tuesday, March 3rd, 2015. On Today’s episode we change everything up, and introduce the new show format. We quickly cover All of the Blizzard Entertainment and General Gaming News from this past week, and then we move onto our World of Warcraft discussions. This week we talk about was Patch 6.1 enough to silence the “we have nothing to do” crowd?, Real ID required for Twitter integration, are we to the point in the game where Triple Spec is required, and is World of Warcraft too “raid centric.” But before you know it, we move onto our Blizzard Discussion topics of the week where we discuss the data-mined information on an upcoming Hearthstone expansion, and the possible reveal of a new Hero for Overwatch. Then we move over to our Community Creation part of the show were we introduce three pieces of amazing Blizzard Fanart! Next up is… the icebox, where we answer a ton of emails and questions for you the listener. If you have any questions, comments or concerns for the show, feel free to email the show at IceBox@FrozeNerdz.com. Then we wrap up the show thanking those people who supported the show this week and then we say our weekly goodbyes. So sit back, relax and enjoy Episode 50 of the Frozen Nerdz Podcast. Patch notes are up for Patch 2.2.0.7835. Click here to read the article! Patch 2.2.0 hits the Public Test Realms (PTR) Click here to check out the Patch notes! Blizzard has been teasing of a new Hero reveal on Twitter lately. Will this lead to their big annoucement for Overwatch at PAX East on March 8th? Click here to read more about it! Blizard reveals their new Recruit a Friend program where you get another awesome mount! To read more about this, click here! And check out this video of the new Recruit A Friend Mount: Cindermane Charger! Also in the World of Warcraft, we have another huge round of hotfixes to the game came on February 26. Check out this link to read up on all those changes! PAX East is starting this week on March 6 to the 8th. This week Game Developers Conference (GDC) is also taking place March 2nd to March 6th. Leonard Nimoy (Spock in Star Trek) Passes away at the age of 83. Have the new overall changes in 6.1 improved the game enough to silence the “I have nothing to do” crowd? Real ID is required for twitter integration is it as big a deal as people are making out of it? For that matter have the selfies really gotten out of control? Since we had some changes why not ask for more should the game just have a triple spec to just get rid of any need for trainer mobs to undo a spec? Would the game benefit from backing off from the “raid Centric” model that has been driving the game lately? Hearthstone datamine suggests Blackrock Mountain expansion on its way? It’s a rumor floating around the internet. Check out this article for more information! Speculation from statements made By Blizzard that the game may slide into a 2016 release all “insider” thoughts. Click here to read the IGN article! Description: The spiritual successor to the smash hit Photon Discs. Annihilate your opponents by synergizing your Orbs with the environment by throwing them over various spheres/walls of synergy. And an oldie but a goodie by Unidcolor! Episode 49 – Let’s Crash Twitter! Welcome to the Frozen Nerdz Podcast Episode 49 called Let’s Crash Twitter! The show was recorded on Sunday, February 22nd, 2015. And was released on Tuesday, February 24th, 2015. Happy Patch 6.1 Day! On Today’s episode we talk shortly about our weeks inside video games before we drop a basic campfire and start talking about World of Warcraft. This week we talk cover some important Warcraft news discussing the release of Patch 6.1 and upcoming changes to the Apex Crystal dailies. Then we discuss the World First Race, the content that was removed from the Patch, then we move onto talking about apologize to and from Blizzard. 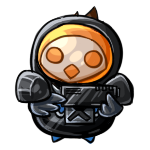 Then we head over to the Starcade to talk about this weeks Blizzard Arcade free to play game called Rooftop Snipers and a new Starcraft Community Commander portart. Then we sit back and stay awhile and look at another amazing Diablo 3 community creation and the upcoming 2.2.0 patch! Then we wrap up the show by jumping into the Nexus and talk about balancing the imbalances inside Heroes of the Storm. Then we read an email from Spankyhunter! If you have any questions, comments or concerns for the show, feel free to email the show at IceBox@FrozeNerdz.com. Then we wrap up the show thanking those people who supported the show this week and then we say our weekly goodbyes. So sit back, relax and enjoy Episode 49 of the Frozen Nerdz Podcast. Patch 6.1 Arrives Tues, Feb. 24! With the arrival of Patch 6.1, there is A LOT of changes and content coming our way. We know that its hard to keep it all straight, so here is a quick and easy breakdown for you! Gearing Up for Apexis Changes in Patch 6.1 — Click here to read the official article! #1: Account sharing?! Multiboxing to Victory?! Did the cheaters just win?! #2: Content cut for Patch 6.1?! @Bashiok is the iron docks questchain cancelled for 6.1? Really need to confirm this before people start causing a ruckus about it. @Nazmi295 Still working on it, it was moved to 6.2. #3: This Community deserves an apology from Blizzard. #4: Blizzard deserves an apologize from this Community. Description: Snipe your enemies. Use towers, height, and special abilities to gain the advantage. Supports up to 12 players (6v6). Play against computers or other players. Community Commander Portrait coming for passionate members of the Starcraft community that have endeavored on an endless number of projects which have supported StarCraft II. Blizzard felt it was time to do their part to help recognize these individuals in-game. Hearthstone February 2015 Ranked Play Season – Luminous Lunar New Year Ending Soon! Check out the article here! How does Blizzard identify balance problems, and how do they address them? Welcome to the Frozen Nerdz Podcast Episode 48 called Daily StarWars! The show was recorded on Sunday, February 15th, 2015. And was released on Thursday, February 19th, 2015. On Today’s episode we talk shortly about our weeks inside video games before we drop a basic campfire and start talking about World of Warcraft. This week we talk cover some important Warcraft news discussing Patch 6.1 Release Candidates to Valuable Live Tweeting Q&A! Then we also discuss the lifespan of 5 man dungeons, the return of daily quests, a retro look back at Classic, and a PSA about Private Servers. Then we head over to the Starcade to talk about this weeks Blizzard Arcade free to play game called StarWars Assault. 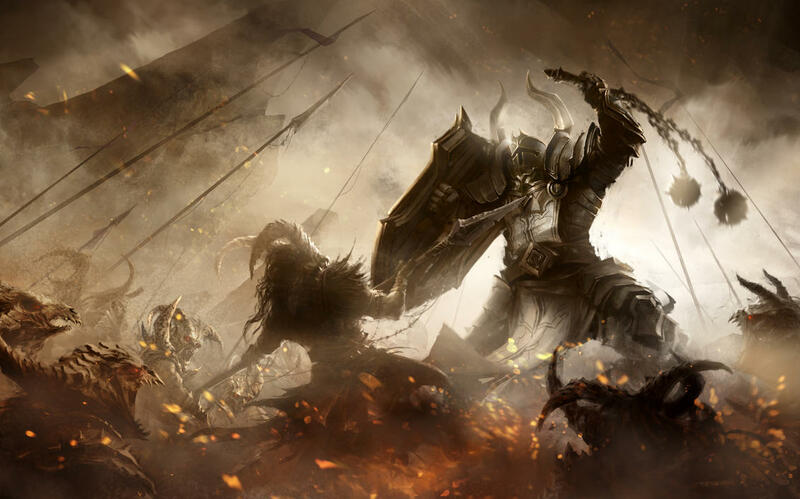 Then we sit back and stay awhile and look at another amazing Diablo 3 community creation! Then we wrap up the show by jumping into the Nexus and talk about some new Heroes coming to Heroes of the Storm. Then we answer a bunch of listener submitted emails! If you have any questions, comments or concerns for the show, feel free to email the show at IceBox@FrozeNerdz.com. Then we wrap up the show thanking those people who supported the show this week on Twitter and then we say our weekly goodbyes. So sit back, relax and enjoy Episode 48 of the Frozen Nerdz Podcast. Love listening to the guys every week? Vote for them in the 2015 Podcaster Tournament of Epicness! Overwatch coming to PAX East?! Check out this article! #1: Have dungeons outlived their purpose much like scenarios went the way of the dodo? #2: When dailies make their comeback in 6.1 will this entice you to do them? #3: Is the game better now than back in vanilla in retrospect; what things do we feel made the game better/ worse? #4: Private servers what are they how do they work and why people make them? So, are private servers illegal? Well, there’s no easy answer. > If the server is profiting, it is certainly illegal. > If the server is running stolen or leaked software, it is certainly illegal. > If the server is distributing client files, it is certainly illegal. We want to invite our listeners to take part in this amazing world of games made by independent developers located on the Free Blizzard Arcade, Each week we highlight a game from this endless library, join us in The Starcade. Tactical ship to ship combat in which players take control of powerful Rebels and nimble Imperials, facing them against each other in fast-paced space combat. Choose your wingmate wisely and fly in formation to outwit and out play the enemy! Tavern Talk Video with the D3 Designers! Community Creation is a major component of what makes blizzard community amazing so here in our Diablo segment we like to share some amazing community artwork. 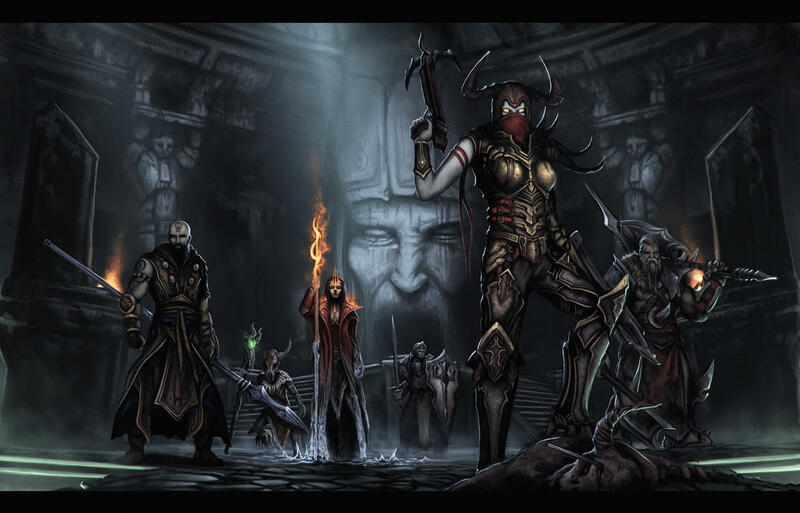 This weeks Diablo Community Creation from A Gathering of Souls by Gevurah-Studios! Welcome to the Nexus, this segment is devoted to details and news pertaining to the in Beta Blizzard MOBA Heroes of the storm. Developer Insight to the new Hero — The Lost Vikings! For direct download of this episode, click here! Welcome to the Frozen Nerdz Podcast Episode 47 called Pokemusic! The show was recorded on Sunday, February 8th, 2015. And was released on Tuesday, February 10th, 2015. On Today’s episode we talk shortly about our weeks inside video games before we drop a basic campfire and start talking about World of Warcraft. This week we talk cover some important Warcraft news from Infographics to 10 Million Strong and Growing! Then we also discuss Logging tools, Raid Tuning, the Social Media craze, and then Kilroy presents his weekly topic. Then we head over to the Starcade to talk about this weeks Blizzard Arcade free to play game called Haunted Forest. Then we pull up a chair and talk quickly about Hearthstone! 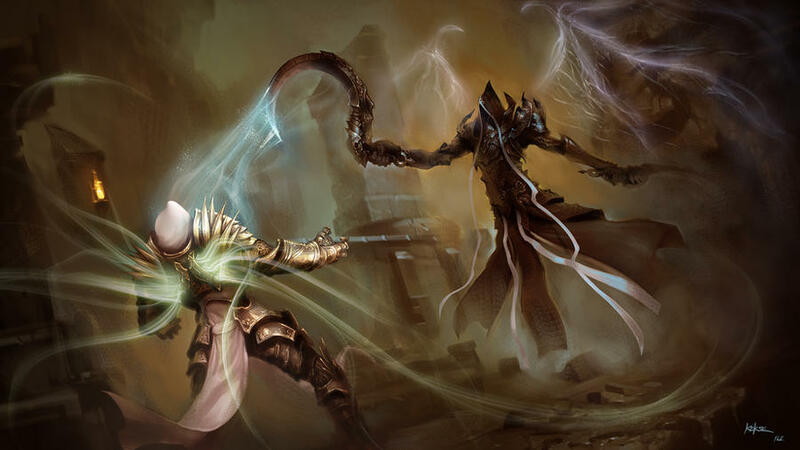 Then we sit back and stay awhile and look at another amazing Diablo 3 community creation! 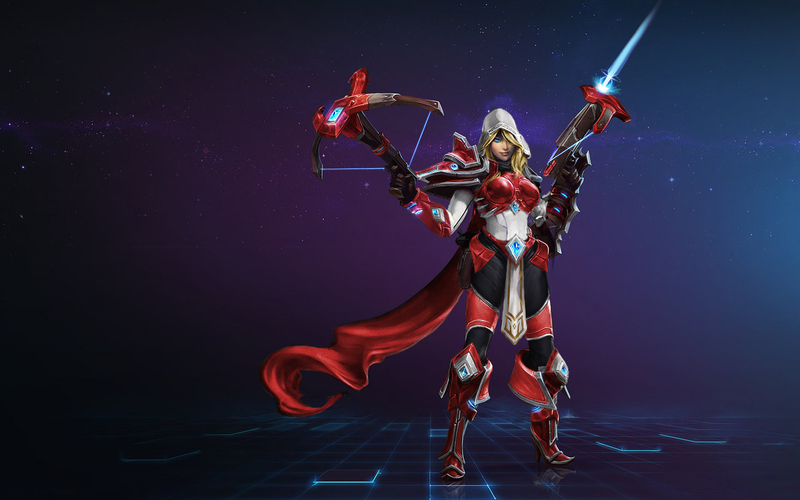 Then we wrap up the show by jumping into the Nexus and talk about some new Skins coming to Heroes of the Storm . If you have any questions, comments or concerns for the show, feel free to email the show at IceBox@FrozeNerdz.com. Then we wrap up the show thanking those people who supported the show this week on Twitter and then we say our weekly goodbyes. So sit back, relax and enjoy Episode 47 of the Frozen Nerdz Podcast. The best way you can support the show is leave us an iTunes or Stitcher review! Not only does it give us feedback on how we are doing, but it also helps other people find us! Either 1 star or 5 stars, we appreciate each and everyone review that we receive. Click on the iTunes or Stitcher icons at the bottom of the page, and start one today! AskMrRobot presents Infographics! Its their feature of awesomeness! If you are interesting in finding out more about this feature, click here! 10 Million Strong… And Growing! — This past week, Blizzard had their earning call. One of the biggest things we can take away from it is…. WOW IS NOT DYING! 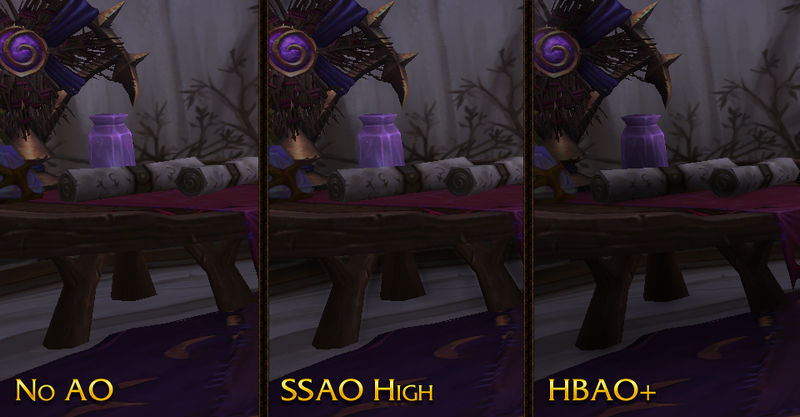 6.1 Heirloom System — With Patch 6.1 on the horizon, one huge feature that is coming soon(tm) is the Heirloom tab! Click here for more info! But first, let me take a B.E.L.F.I.E! #1: Logging tools: What are they? Why should raids use them? What information on them is useful to raiders overall and not just raid leaders? #3: With new social media additions coming to 6.1 has wow bridged a gap to entice new gamers to play wow, or gone to far? #4: Do you feel this expansion has been stunted at all by not adding a new class or BG’s other than Ashran, like in previous expacs? Kilroy’s Personal Topic — But you will have to listen to the show to find out! This week we play the game Haunted Forest created by Bounty. Inspired by Slender, up to 6 players work together to gather all 19 crates while avoiding direct up close eye contact with their pursuer. Amazon Coin Deal! — A new sweet deal for Android players to increase their amounts of cards! Check out Amazon for more information! Trump’s Teachings Part 3 — Head over the the Hearthstone page to check out this weeks three videos where Trump teaches us Card Advantage, When Do Face, Weapon Hold, and the The Long Game! Welcome to the Nexus, this segment is devoted to details and news pertaining to Blizzards new Moba Heroes of the Storm! 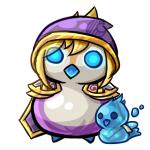 Not only is Heroes of the Storm a cross over of all Blizzard Games, but it is missing one thing… Pepe from your World of Warcraft Garrison! Check out this beautiful artwork from ZHArDoom! There are also a few new HotS Character Skins coming soon ™! 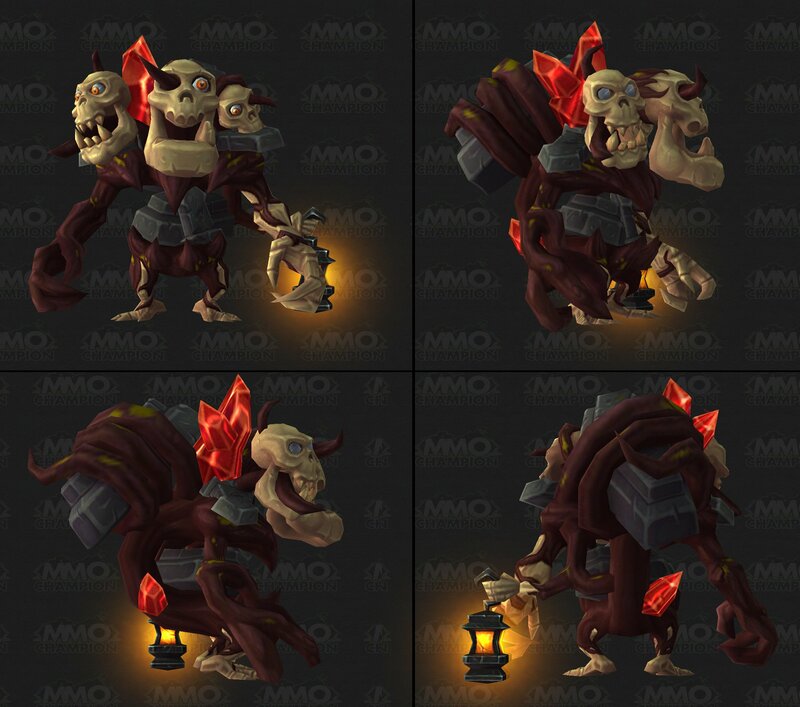 And then the next question we have is… How do you think this Warcraft Battle Pet will be acquired? Welcome to the Frozen Nerdz Podcast Episode 46 called $10 per Segment! The show was recorded on Sunday, February 1st, 2015. And was released on Tuesday, February 3rd, 2015. On Today’s episode we talk shortly about our weeks inside video games before we drop a basic campfire and start talking about World of Warcraft. This week we talk cover the first four bosses of Blackrock Foundry in 30 seconds or less, as well as Rukhmar the freshly added World Boss! Then we also discuss creative criticism, and the integration of Twitter into World of Warcraft. Then we head over to the Starcade to talk about this weeks Blizzard Arcade free to play game called Photon Cycles Pro.Then we pull up a chair and talk about two Hearthstone tools that you shouldn’t play without! 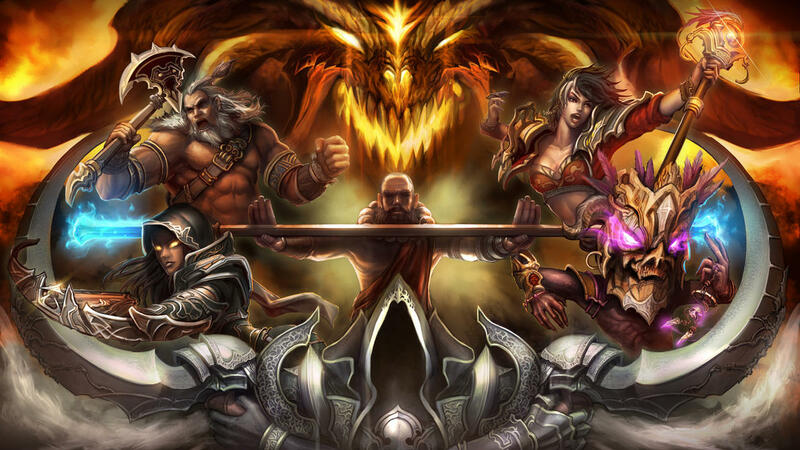 Then we sit back and stay awhile and look at another amazing Diablo 3 community creation! Then we wrap up the show by jumping into the Nexus and talking about Heroes of the Storm and microtransactions. If you have any questions, comments or concerns for the show, feel free to email the show at IceBox@FrozeNerdz.com. Then we wrap up the show thanking those people who supported the show this week on Twitter and then we say our weekly goodbyes. So sit back, relax and enjoy Episode 46 of the Frozen Nerdz Podcast. 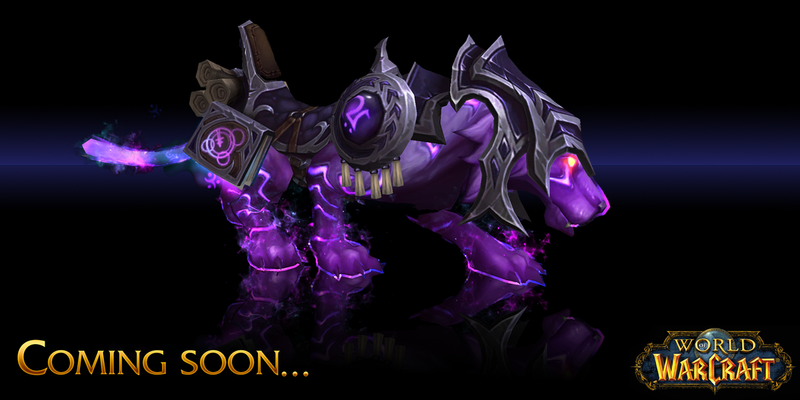 This week on Twitter, the @Warcraft account tweeted out this picture teasing us about a mount coming to the game! This week on the show, we drop a basic campfire and talk about some Warcraft! On today’s show, we had four different discussion topics that we wanted to talk about with the listeners. Blackrock Foundry Breakdown – Bosses covered in 30 secs or less! Nothing left to do in the game? What can be done to pass the time? Patch 6.1 – Twitter Integration: The latest PTR build activated Twitter integration. You can tweet screenshots, achievements, items, or whatever is on your mind. Complaining about change/problems/other gamers? Constructive Criticism! Want to add to the discussion? E-mail the show at IceBox@FrozeNerdz.com! This week in the Blizzard Arcade, we check out the game Photon Cycles Pro. Like all games inside the Starcade, this game is 100% free to play. All you have to have is the Starter Edition of StarCraft 2! Photon Cycles, a luminous lightbikes game, is all about driving around your ridiculous looking vehicle, while excreting lethal hazards from your rear, with the intention to cause your enemies to wreck into stuff. Essentially, this is a classy 3D remake of the old Tron Arcade Game, which I guess is sort of like a PvP Snake-like game. If anyone has seen either of the Tron movies, you’ll know exactly how this map is structured; it takes place on the Data Grid. Also, the @BlizzardArcade on Twitter teased that the Starcraft 2 Map Editor will be getting Warcraft 3 components in the PTR! This week there was an interesting article written over at IncGamers.com. The article was titled, “Blizzard leak reveals some odd statements on Diablo 3, Overwatch and more.” We discuss how outrageous the claims that the writers are making about Diablo, Starcraft and Heroes of the Storm. And now here is this week’s Diablo Community Creation! This week on the show, we start off our Hearthstone segment discussing the recent Patch changes that came out this week. 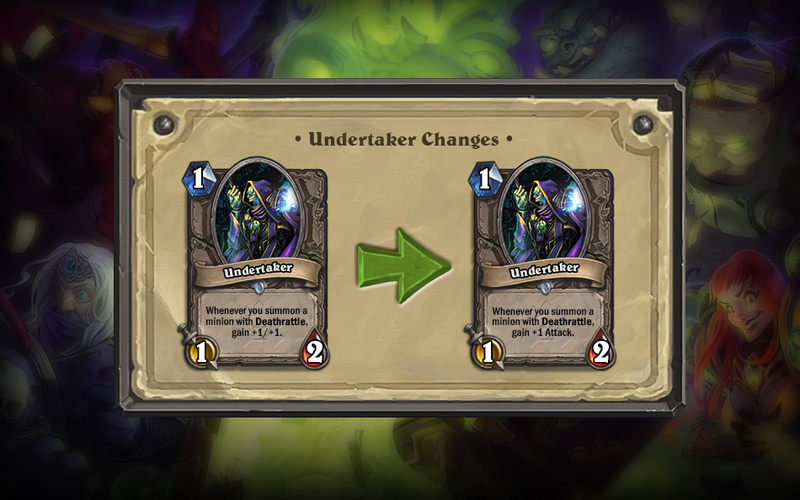 The main thing to note is the change to the Undertaker card. After we get the news out of the way, Kilroy presents two online Hearthstone resources that will help keep track of stats, cards and more. With both of these resources, they may even help increase you ability to win! 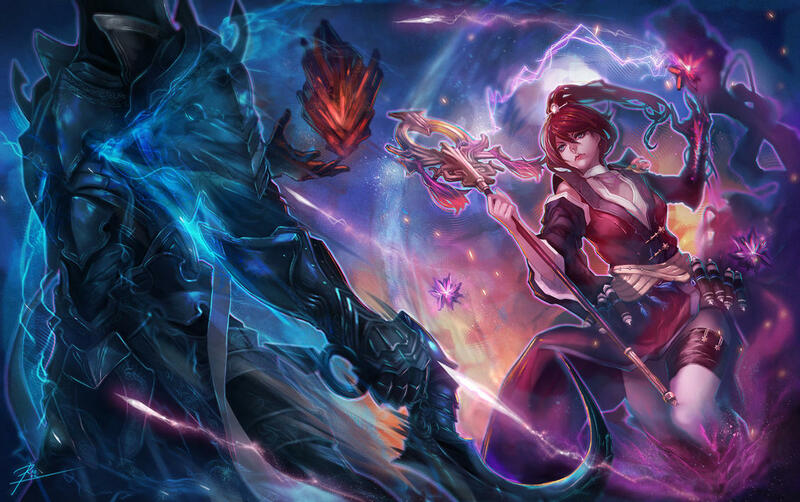 There is a lot going on inside the Nexus this week, Blizzard announced “New Lunar Festival Items Available Now” which include new skins for Chen and Lili! If you buy both the skins, or the Heroes and the Skins, you also get a new mount! 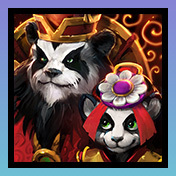 Players who log in and play 10 games of Heroes of the Storm between January 27 and the morning of March 3, 2015 will receive a special new Lunar Festival portrait! Matches played in any mode except for Custom Games will count towards unlocking this epic portrait! But before we leave the Nexus, we discuss the topic of mirco transactions inside Heroes of the Storm. Is $10 USD too much for a skin? Let us hear what you thing? E-mail the show IceBox@FrozeNerdz.com! You can also direct download the show here! Welcome to the Frozen Nerdz Podcast Episode 45 called On Your Local Craigslist! The show was recorded on Sunday, January 25th, 2015. And was released on Tuesday, January 27th, 2015. On Today’s episode we talk shortly about our weeks inside video games before we drop a basic campfire and start talking about World of Warcraft. This week we talk about some important News topics before we dive right into our Weekly discussion topics. This week we talk about World Bosses, LFR gating, UI changes, and then we discuss the 10 Year Anniversary Statue. Then we head over to the Starcade to talk about this weeks Blizzard Arcade free to play game called Doomed Earth End of Days and discuss the Team Liquid Map contest announcement! Then we pull up a chair and talk about Hearthstone’s new video series Trumph Teachings, and speculate about when Hearthstone will go Mobile! 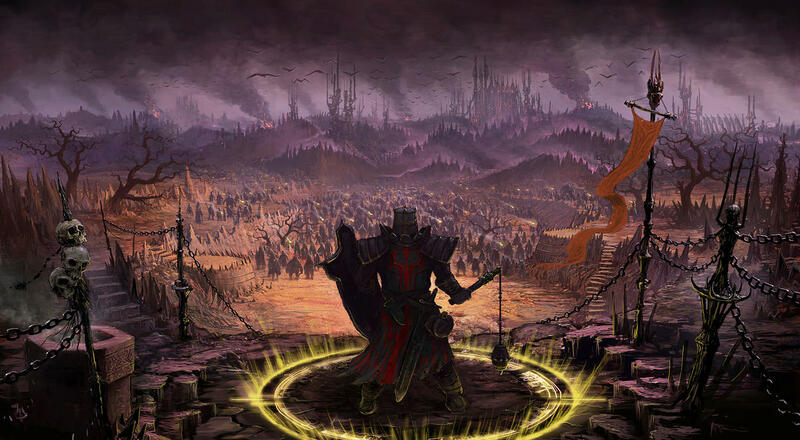 Then we sit back and stay awhile and look at another amazing Diablo 3 community creation! Then we wrap up the show by jumping into the Nexus and talking about Heroes of the Storm. We tackle the topic of the Founders Pack and more. If you have any questions, comments or concerns for the show, feel free to email the show at IceBox@FrozeNerdz.com. Then we wrap up the show thanking those people who supported the show this week on Twitter and then we say our weekly goodbyes. So sit back, relax and enjoy Episode 45 of the Frozen Nerdz Podcast. Patch 6.1 Patch Notes are here! #1: New raid schedule presents more gating for LFR content is this schedule too long to keep people interested in content? #2: World boss tuning in WoD have they shown us anything we haven’t seen before? Should world bosses just drop LFR since they require LFR Effort? #4: The 10th anniversary physical gift should it be available for other players to purchase? As a player, you take command of one of the eleven nations still standing after an world wide economic meltdown. Your goal is to take control of 70% of earths population, meaning taking control of cities. At your disposal is conventional military forces such as tanks, helicopters, and infantry. However, other weapons include zombies, viruses, nuclear weapons, alien invasions, space cannons, and demonic incursions from hell. All of these can be used either to take control of earth or watch the world burn around you. Brawl with the Blues coming January 28th, 11:00 A.M. PDT! Heroes of the Storm Founder Pack is here! Welcome to the Frozen Nerdz Podcast Episode 44 entitled A Raging Show! The show was recorded on Sunday, January 11th, 2015. And was released on Tuesday, January 13th, 2015. On Today’s episode we talk shortly about our weeks inside video games before we drop a basic campfire and start talking about World of Warcraft. This week we talk about a gamett of topics before we let Epicinsanity enter a state of rage for his personal topic. After he cools down a little, we head over to the Starcade to talk about this weeks Blizzard Arcade free to play game called Undead Assault 3! Then we pull up a chair and talk about HearthstoneCalender.com, a website designed to keep you in the know of all the Hearthstone eSports events! 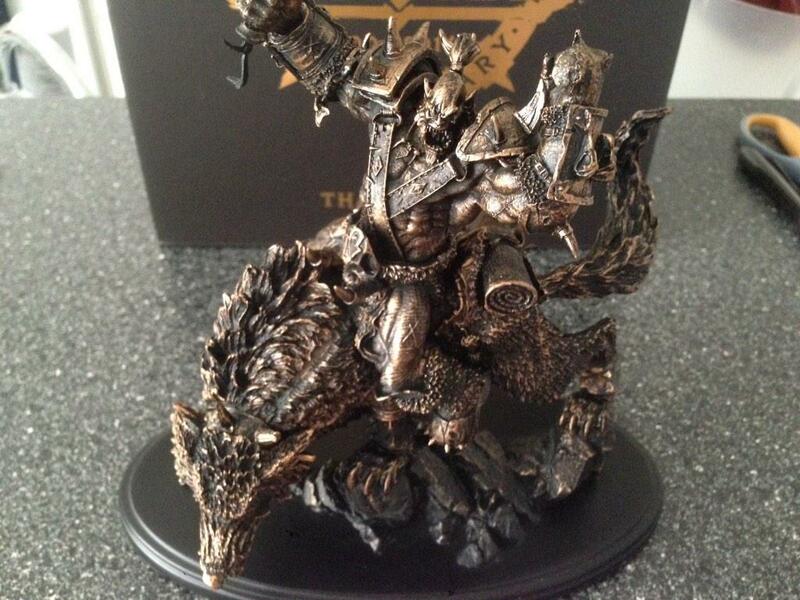 Then we sit back and stay awhile and look at another amazing Diablo 3 community creation! Then we remind everyone about the upcoming Closed Beta for Heroes of the Storm and all the important information coming out of the Nexus! Then we dig deep inside our Icebox and find an email from Sir Zach’s A Lot and a few Ask Us Anything questions. If you have any questions, comments or concerns for the show, feel free to email the show at IceBox@FrozeNerdz.com. Then we wrap up the show thanking those people who supported the show this week on Twitter and then we say our weekly goodbyes. So sit back, relax and enjoy Episode 44 of the Frozen Nerdz Podcast. Hotfixes – Garrison changes, class changes and more! Patch 6.1 PTR is now available for download and testing. You can check out the Patch 6.1 PTR Forums here. New Years resolutions for wow: you can add your comment too! Read the Developers, Community managers and more resolutions here. Also, if you want to sit down and talk with Epicinsanity about your Gaming New Year’s Resolution, check out this blog. #1: Is the LFR difficulty necessary? #2: With the PTR on the horizon do you think there will be more extensive testing before launch (in comparison to the majorly glitchy expac launch)? #3: Should mythic be puggable or should it stay the course and increase in challenge as this expacs raiding continues? What are some ideas to help improve accessibility? #4: Have garrisons and all the abundance of groupfinder killed the Multi in MMO? — Epic – ITS MY 15 DOLLARS A MONTH and Player Types. 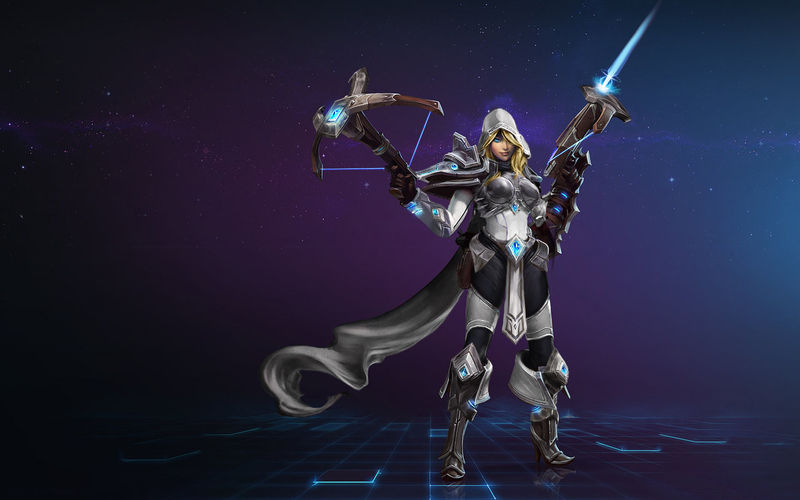 Heroes of the Storm enters closed Beta on January 13th, 2015. Make sure to sign up in order to get in! Overwatch runs into some trademark issues. Check out this PC Gamer article for more information. What does this mean for game in the future? !